From cultured, lab-grown meat, to mung-bean and pea proteins, to veggie burgers that “bleed”, the alternative-protein market has set its sights on carnivores. 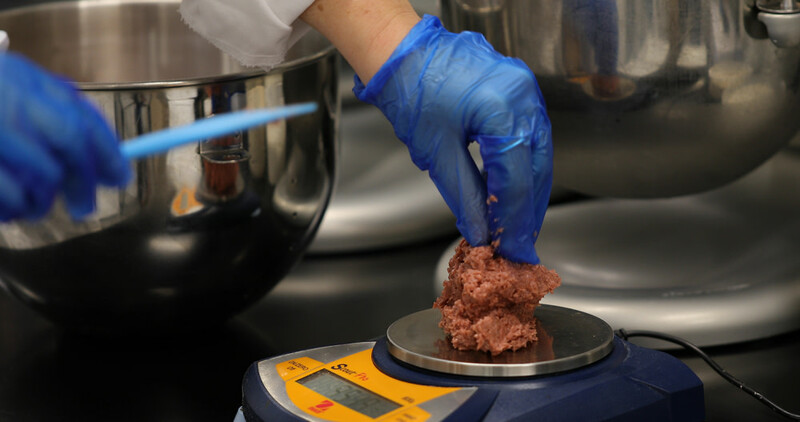 Changing what makes meat meat – by removing animals from the equation while replicating the flavour – could solve the problems that the world population increase and demand for animal proteins have made on the planet. Is your stomach strong enough for a change this big? Or are you already embracing it? Meat substitutes have existed for thousands of years. 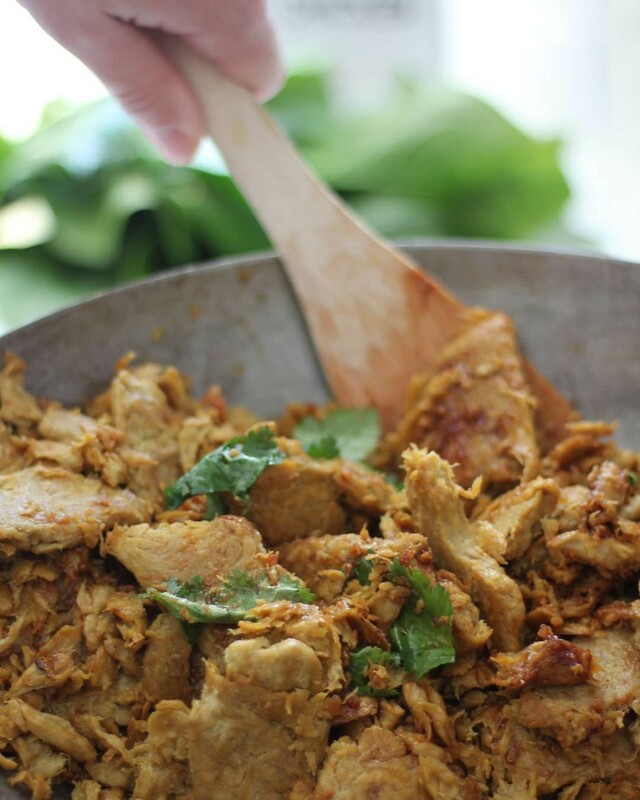 Whether as practical responses to animal scarcity, adherence to religious beliefs or personal preference, ingredients like tofu, tempeh, seitan, mushrooms, aubergine, beans and jackfruit have long been used to mimic the taste and texture of meat. Familiar British companies like Quorn and Linda McCartney Foods have lined supermarket shelves since the late 80s, but the massive growth of mindful food practices has fuelled a new surge of vegetarians and fashionable flexitarians (who enjoy one or more meat-free days a week), in part prompted by Sir Paul McCartney launching the popular Meat Free Monday campaign back in 2009. In 2014, it was reported that the majority of Quorn consumers are, in fact, meat eaters. It’s simply become passé to be a fully fledged carnivore. The switch to meat-like, plant-based foods suggests that, despite being armed with American author Michael Pollan’s succinct adage of “eat food, not too much, mostly plants”, many people still like to feel like they are eating meat. These savvy consumers have begun to seek out a new, forward-thinking food lifestyle designed to provide optimum human nutrition whilst minimising damage to our plundered planet. Recent developments in food technology have opened a Pandora’s box of options to satisfy the increasingly conscious consumer’s hunger for meat alternatives. 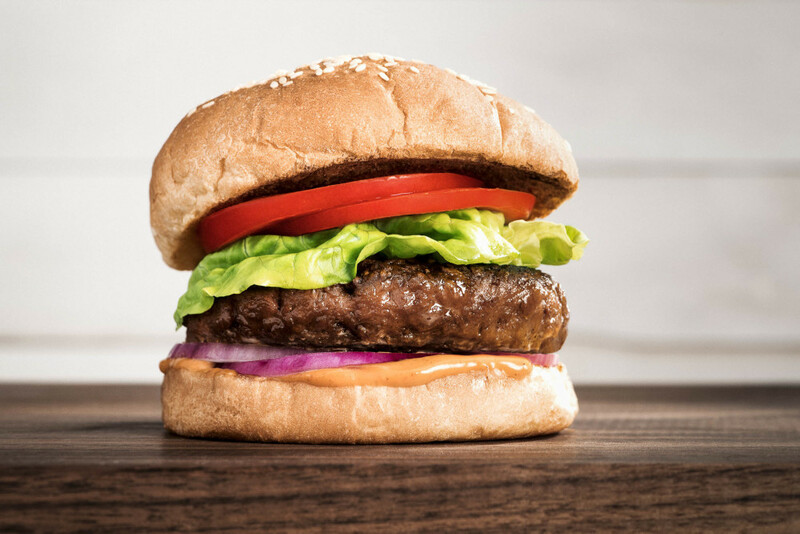 Beyond Meat produced the world’s first plant-based burger. The Beyond Burger leaves out the cholesterol and uses peas to provide the protein, beets for juiciness and coconut oil and potato starch for texture. Beyond Chicken Strips, Beyond Sausage and Beyond Beef Crumbles are also available. In the case of Impossible Foods, they use a synthetic soy protein called heme to make a meat-like product that’s nearly indistinguishable from beef and even “bleeds” like it. Founder Dr Patrick Brown says, “When we started out, we weren’t looking to make ground beef. We were focused on understanding meat as a category across the board, understanding how it works. We made a very strategic choice to launch ground beef because it’s the biggest category in the US. The only customer we care about is a customer who would otherwise be buying meat from an animal. And it’s okay for vegetarians to eat it, but from the get-go, everything we did was focused on making a product that a meat lover would choose because it’s delicious. New Zealand is leading the charge on chicken-free chicken. Sunfed Meats launched in 2017, and their mock chicken is made from a handful of natural ingredients that include pea protein. It’s currently only available in supermarkets in New Zealand, with the company soon to expand into meat-free beef and bacon products. As demand grows for more animal-free options, fast-food chain KFC has also announced that it is developing a vegetarian chicken option to add to its menus in the UK. The chain insists the new product will be a healthier one too, even though the contents of the veggie bucket will still be encased in the Colonel’s famous Southern fried coating. The seafood-consumption rate in Hong Kong is one of the highest in the world, so this is a category of huge importance here in Asia. Ahimi is a fish alternative from Ocean Hugger Foods that uses tomato, soy sauce, water, sesame oil and sugar to replicate raw tuna. Chef James Corwell created the product after being shocked by the sheer volume of tuna up for auction at Tokyo’s Tsukiji fish market. Next up from the company are Unami (aubergine-based eel) and Sakimi (carrot-based salmon), to be released later this year. Terramino Foods are using fungi, algae and a whole lot of scientific research to produce a salmon alternative. They are currently in the beta stage, with plans to roll out in the US this year while also exploring options in China. 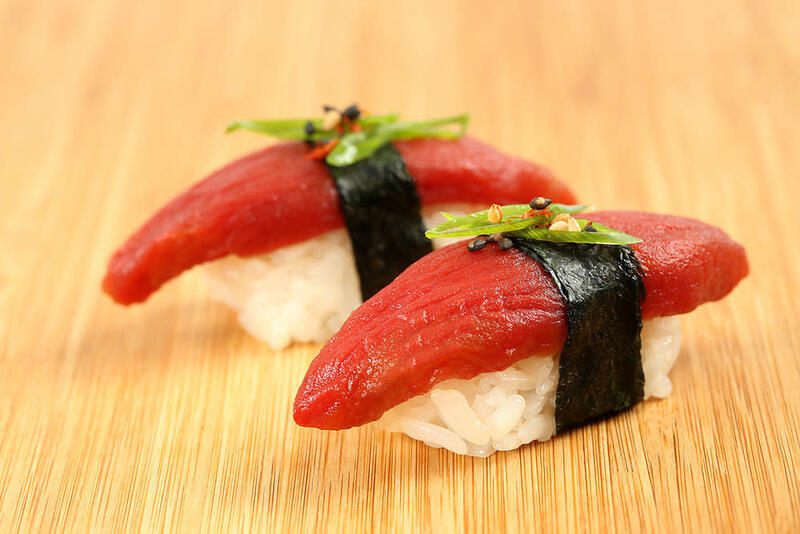 Finless Foods are busy creating lab-grown marine meats, declaring that their bluefin tuna product will be unveiled in late 2019. Their website states that their mission is to bring sustainable seafood to the world by harnessing cellular biology to grow marine animal cells without having to farm or harvest live fish. 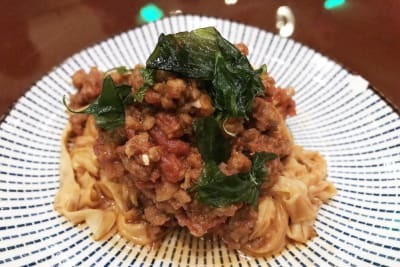 Hong Kong–based Right Treat has produced Omnipork, a product that manages to taste like pork but is, in fact, created from a blend of plant-based proteins, including peas, non-GMO soy, shiitake mushrooms and rice. Omnipork is now being served at a handful of high-end restaurants here in Hong Kong, and the product has received rave reviews for both its health (tested to be 71 per cent lower in saturated fats and 62 per cent lower in calories than real pork, with higher amounts of fibre, calcium and iron) and environmental benefits. Related: Where can I find Omnipork? 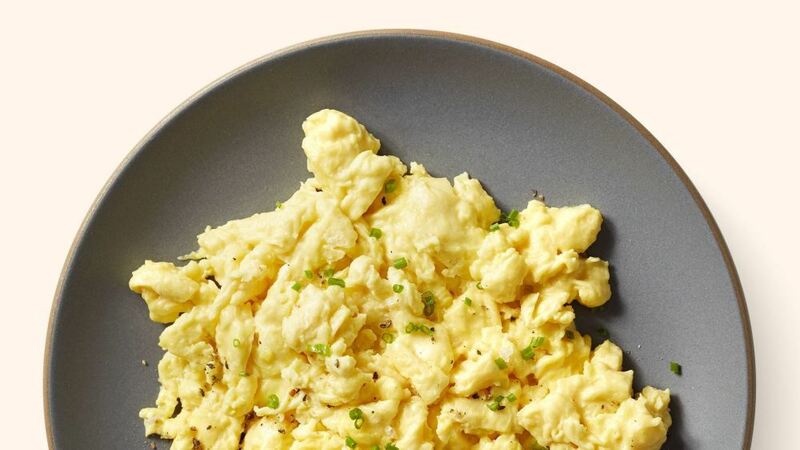 When JUST Egg entered the market with its all-natural, non-GMO scrambled eggs that are completely egg free and plant based, hot on the heels of JUST Mayo’s eggless success, consumers were more impressed than freaked out by it. Both cholesterol and antibiotic free, the flavour remarkably mimics real egg, with a fluffy texture to match. It’s part of a building consumer revelation about what it is that we genuinely desire in our food. Perhaps decades spent searching supermarkets for eggs laid by cage-free, happy hens are finally on the minds of more than just the eco-conscious and people are ready to feel good about eating omelettes. 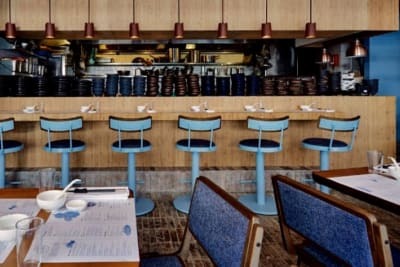 Either way, JUST Egg, made largely from mung beans, has won over restaurants in the US and has already made an impact on plates here in Hong Kong, with more than just vegetarian eateries serving it. PizzaExpress HK, for instance, has debuted the world’s first vegan JUST Egg pizza. PizzaExpress HK has debuted the world’s first vegan JUST Egg pizza. 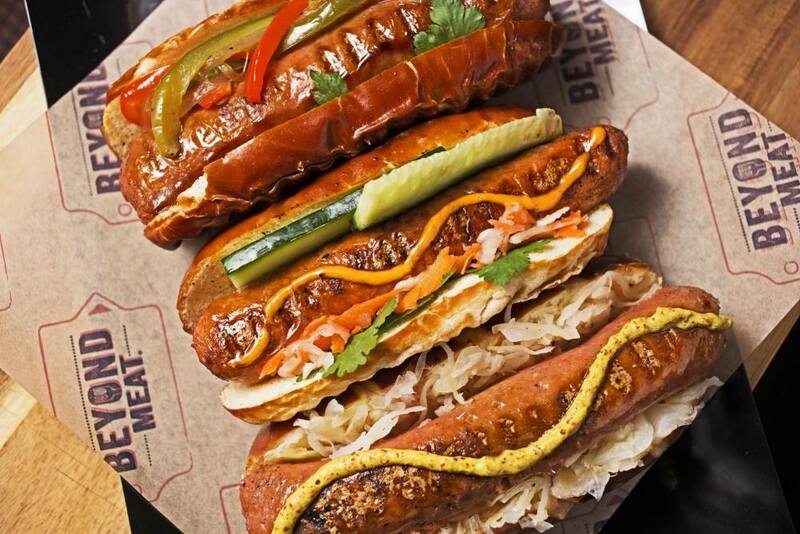 Plant-based meat: made from plant proteins such as peas, tempeh, seitan and mushrooms. Examples include Quorn, Beyond Meat, Right Treat and JUST products. Bioengineered meat: when a food product is grown from a genetically modified (GM) culture of yeast cells. Impossible Foods’ products are examples. Cell-cultured, or “clean”, meat: lab grown, in vitro, from starter cells taken from the tissues of animals. This is not available on the market yet, but JUST plans to unveil its clean JUST Chicken product by the end of this year. Read our Clean Meat primer here. The heavy processing that’s involved in many meat-analogue products divides consumers who are looking to adopt a clean-eating approach. Labelling is still a colossal global problem for food items, with stalwart plant-based producers like Quorn running into difficulties in the past for labelling their products as “mushroom based”, when they are actually microfungus based. This truth is more likely to unsettle the everyday purchaser than perennial vegans and vegetarians, who doubtlessly embraced more unusual sources of protein long ago. The growth and popularity of the milk-alternative market are already drastically changing the dairy sector, suggesting that customers are forgoing traditional cow’s milk – or at least reducing their consumption of it – and replacing it with what’s right for their specific dietary needs, be it almond, soy, hemp, rice, coconut, oat or the new pea milk (which is largely thought to be the best milk replica yet). As companies begin to create products that customers genuinely prefer to the real deal – as long as they can be competitively priced – meat may be next on the diet-change agenda. Even if consumers think they’re not ready for bioengineered ingredients in their foods... chances are, most people are probably already eating them. Products made using genetically modified organisms (GMO) often come under fire for using technology in place of nature, yet it’s interesting to note that the cheese industry has been using genetically modified enzymes since the 1970s. As the demand for cheese increased, so did concerns about keeping up the supply, along with growing desires to keep from slaughtering very young cows (from which the rennet enzyme needed to make cheese is derived). Many consider the feat of replacing a calf’s stomach with a beaker to be one of the greatest achievements ever made in food science – so much so that now nearly all cheese in the US is made from GMO enzymes. Even if consumers think they’re not ready for bioengineered ingredients in their foods – whether it’s the GMO crops that add nutrients or make them stronger in order to endure the ever-changing climate, the starter microbes of the dairy industry, which prevent the death of countless numbers of day-old calves, or the groundbreaking new meat alternatives entering the market – chances are, most people are probably already eating them. Several of the companies mentioned above have chosen Hong Kong to gently launch their products into Asia, with rapid expansion plans for China. This may be prompted by the new dietary guidelines released by China in 2016, where the newest version of the food pagoda – China’s take on the food pyramid – recommends cutting individual meat consumption by 50 per cent. The average person in China currently consumes 63kg of meat per person per year, and the new recommendations would take this down to 27.5kg. While no small feat, a successful reduction in the population’s daily meat intake could mean greenhouse gases produced from the livestock industry in China would be reduced by one billion tonnes by 2030. Less than 30 years ago, meat was considered a luxury item amongst the general public in China, with the average Chinese person eating 20kg of meat per year. 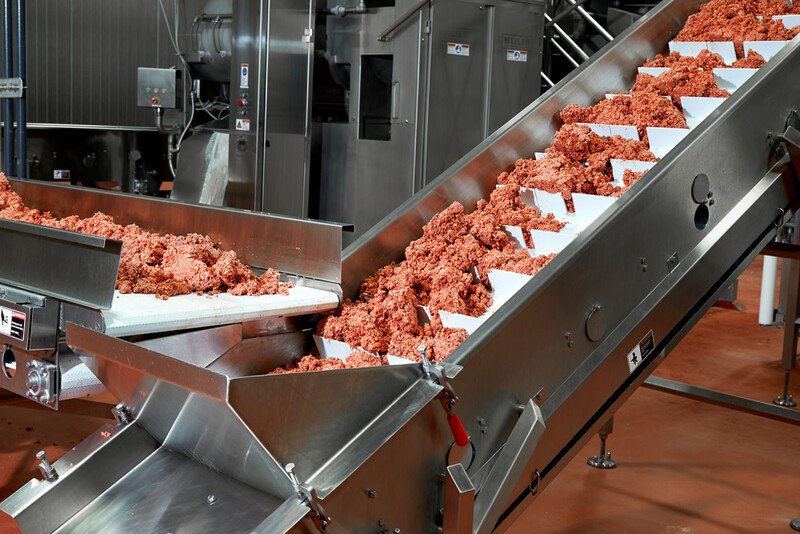 Economic changes within the country have rapidly led to increased accessibility to meat. China now consumes half the world’s pork and 28 per cent of its overall meat, driving worrying obesity and diabetes epidemics. The updated dietary recommendations set a strong course by the government to curb the country’s mushrooming appetite for meat. 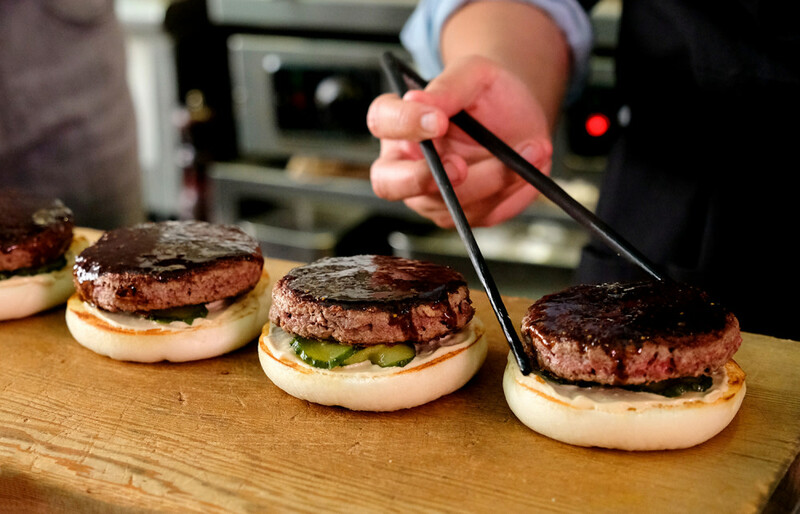 China has also signed a US$300 million deal with three Israeli companies to purchase lab-grown meat, showing a firm commitment to reducing the country’s greenhouse-gas emissions. 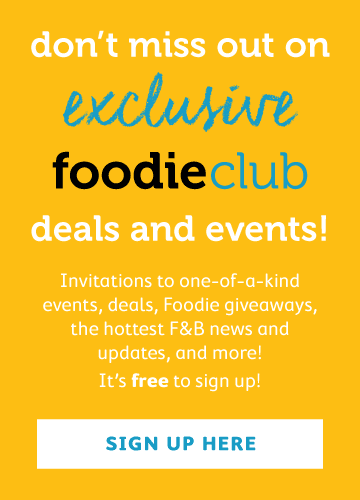 With meatless burgers that look and taste like beef, plant-based pork that’s better for you and tastes like the real deal, a revolutionary product that produces springy omelettes without the eggs and the future possibilities of an algae-based salmon alternative and cell-cultured tuna, it begs the question: can the food industry truly be reformed into a plant-based reality in just a few short years and, if so, are we ready for it?